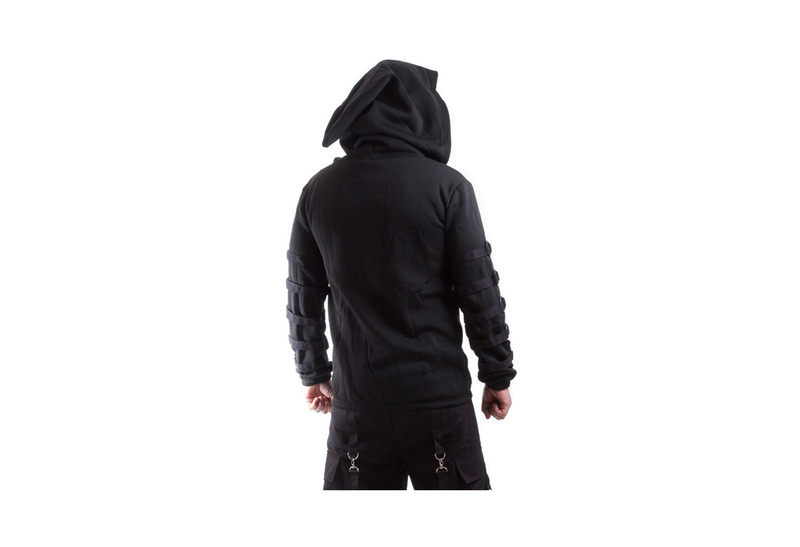 Men's black hoody with black O-rings and straps down the arms and an over sized hood. Imported from the UK. 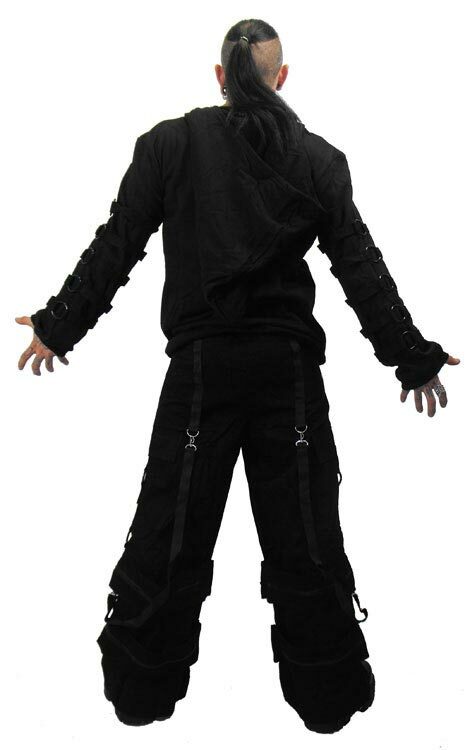 This hoody is warm and fussy on the inside and soft on the outside for a very comfortable wear. Got this a few days ago and let me tell you. This sweater ROCKS. Super comfy and soft inside. I love the straps on the arms. It's still a bit hot here but I saw it and had to have it.